Are you a Classic Car or an Old Banger? 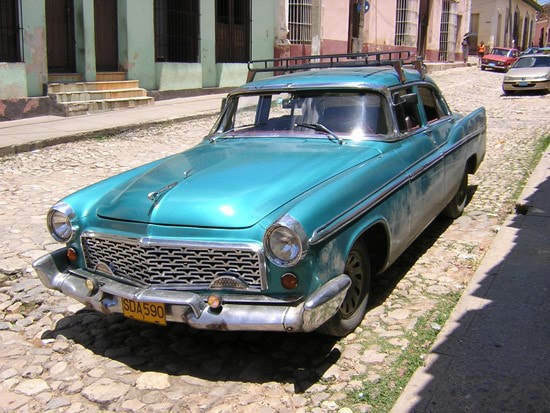 Think of Cuba and three other C’s immediately spring to mind, Castro, Cigars and Classic Cars! It's true, tobacco and politics don’t have a place in a blog about health, but the classic cars have something to tell us. These cars, little more than heaps of rust in their homeland, still thrive on Cuban streets. Necessity has helped nurture a nation of innovative and dedicated mechanics who lovingly maintain and cherish these chrome beauties, and, while the rest of the world has moved to newer models, we are still captivated by their character and grace. Like cars, at a certain age, our bodies begin to show signs of wear and tear. Bad habits that we previously ‘got away with’ begin to reap penalties, showing up as a range of symptoms, particularly around peri-menopause and menopause. So, before you reach for the medicine cabinet, think about renegotiating the terms of your tenancy agreement with your body. It’s worth remembering, aches and pains are rarely signs of paracetamol deficiency. Good nutrition is essential but there is no magic wand - everyone has unique needs. Our bodies have to work hard to extract nutrients from the food we consume, and the wrong kind of diet can mean all the work is for nothing. Eating processed, refined or sugary foods tends to cause insulin spikes and low blood sugar crashes. In turn, these trigger the release of stress hormones that demand an emergency “quick fix” solution - and that’s not going to be a nice salad! Eating whole grains and “foods that don’t need a label” are a better option to maintain a steady blood sugar profile and a healthier gut. A simple guide is to make sure every meal and snack contains protein and fibre. Nutritionist Dr Libby Weaver’s book “Rushing Woman’s Syndrome” is a fantastic guide to the impact of stress and diet on our bodies. Hypnotherapy can be a huge help in establishing new, healthier patterns while an experienced nutritionist can help find the right diet to suit your needs. Operating in top gear for long spells means our bodies don't get the maintenance they need to run efficiently. Finding gaps in the day to slow down, even for a minute or two is every bit as essential as an oil change and service for our classic cars. A break gives our bodies time to switch into rest and repair mode, getting on with its own to-do list while you take time out from yours. Regular walking is a great start. Adding Yoga (particularly restorative yoga), Qigong, Pilates or Tai Chi will tone and strengthen the body and help release endorphins (the antidote to stress). These sooth and relax, helping manage fluctuating hormones that characterise menopause and are less likely to trigger a hot flush than more strenuous forms of exercise. Take time to find a class or teacher that is right for you and learn to enjoy being in your body again. If you haven’t already learned to appreciate your own distinctive beauty and character now is the time to do it. You have learned lessons, uncovered gifts and honed skills and have unique wisdom to impart and to rely on.